I have to admit I have been somewhat lacklustre towards this blog in the past month. It has been brass monkeys here in England (damm cold to those who have no idea what I’m talking about). Broncos WR Brandon LLoyd – Lloyd’s COMBINED stats for 2007-2009 were a ghastly 36 catches for 495 yards and two tds. In JUST 12 games he has 60 catches for 1,153 yards and 9 scores. Lloyd deserves a trip to the Pro Bowl at this rate. What is even more staggering is his YPC – 19.2 freaking yards. Texans RB Arian Foster – Yes Foster performed an admirable cameo towards the end of the 2009 season, but even the most optimistic fantasy fans did not project 1,230 yards rushing, 479 yards receiving and 15 total trips to the endzone. 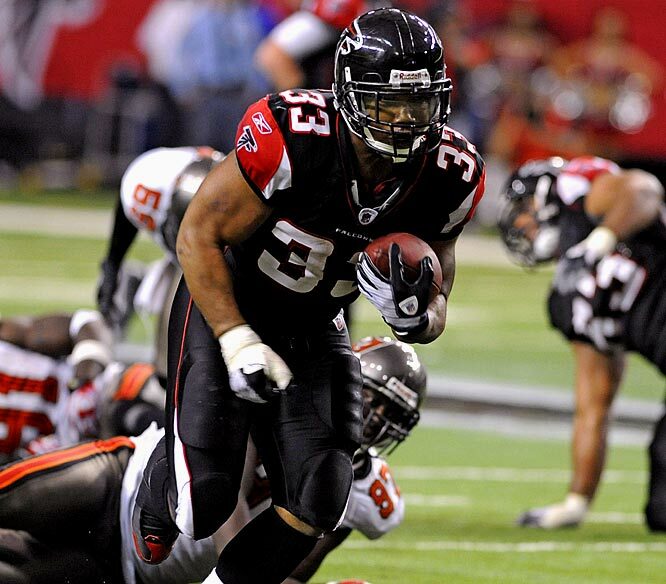 Foster is on target for a memorable season with over 1,500 rushing yards and possible the NFL rushing crown. Colts QB Peyton Manning – At the rate he is going, having passed for over 4000 yards in 12 games, Peyton could (now watch me curse it!) break the NFL single season passing yards record held by Dan Marino. At present Manning is on pace to smash the record (his projected 16 game figure is 5370 yards). Back before the start of the season I predicted a Vikings v Ravens Super Bowl. It’s December and I still stick with one half of my prediction. I still have the Ravens representing the AFC in the big game, but my NFC prediction is now a toss up between the Packers and the Falcons. Because the Falcons can run and pass with equal efficiency I see the ‘clean’ birds heading back to play for the Vince Lombardi trophy in the New Year. What is YOUR Super Bowl prediction for this season?